I mentioned in an earlier review that I had once said, “If these two don’t kiss soon, my head may explode,” out loud while reading a particular romance. Where Dreams Begin by Lisa Kleypas is that particular romance. I love this book. While not a classic, it is one of the ones I will keep if/when I am released from my historical romance obsession. I have read it several times and did so again recently. No, not this one, although I assume it’s a loving homage on the part of Ms. Kleypas. 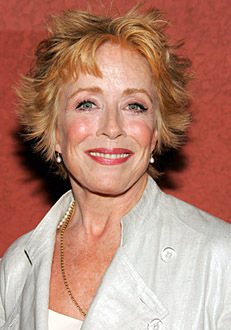 Lady Holland Taylor has just attended her first public event after three years of public and private mourning for her husband, George. They were happily married and very much in love. Holly lives with his family and her daughter, Rose, her dearest tie to George. Despite the fact that she is out in society again, Holly dresses in the colours of “half mourning” and has no interest in another marriage. She is every inch, and in all the best ways, a lady. When Holly finds herself looking for a moment alone and instead winds up kissing a stranger in the dark at a party, she is devastated and runs away. Zachary Bronson expected one woman in the dark and swooped in to discover he was kissing another. He has recently arrived in Society and his position there is the result of his ambition and unassailable wealth. He is too rough for his new world and the upper echelons do so revile an upstart. To give himself access to the circles he wants to do business in, make his mother and sister comfortable in that world, but mostly to try to get his hands on that woman he kissed, Zachary offers Holly a position as a kind of guide to teach his family the social graces. He pretends not to remember her when they meet again, as does Holly. For an obscene amount of money, including a generous dowry for Rose, Holly will work for Zachary for one year. His only condition is that Holly and her daughter must move in with his family. Where Dreams Begin has some elements that are a bit dated, it is mentioned that Zach frequents brothels, and there is magic realism/dreamy stuff that I could have done without. Romance novels are sufficiently fuzzy with regards to reality that adding another layer of narrative distance impinges on the illusion for me. Any quibbles I have are minor about an otherwise sincere, entertaining and delightful story. Lisa Kleypas is a master craftsman. She excels at every aspect of writing for the genre. Every night, I say a little prayer hoping she will re-enter the historical romance fray.